Tahmeed Taha: Kilauea volcano in Hawaii, spewing molten rock and high levels of sulfur dioxide, erupted on Thursday. 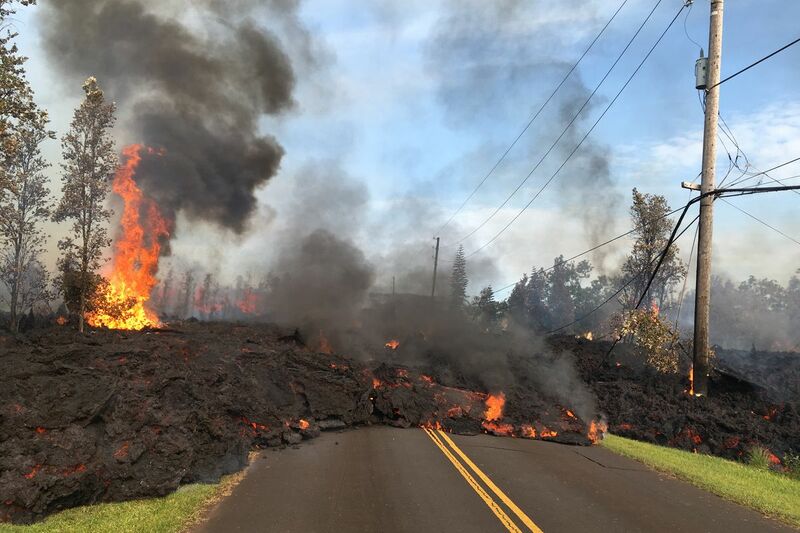 Four days after the eruption, lava and hazardous fumes continued to spew on Hawaii’s Big Island on Monday. 35 structures including at least 26 homes had been destroyed and a total of 12 fissures have formed, including two on Monday, said The Hawaii Civil Defense. Leilani Estates of the island was told by the authorities to be evacuated, as lava and fumes were bursting through the giant cracks in the ground there.A spokesperson for the Hawaii Volcanoes National Park Jessica Ferracane said, “It’s nothing that I’ve ever experienced on a personal level ever before.” But now, another fear of frequent earthquakes after the eruption has risen. Ferracane said Monday, “That’s the big concern for everybody on the island,” and added, “The earthquakes continued through the night.” Big Island has endured an average of one earthquake per hour, after a 6.9 magnitude quake struck Friday.